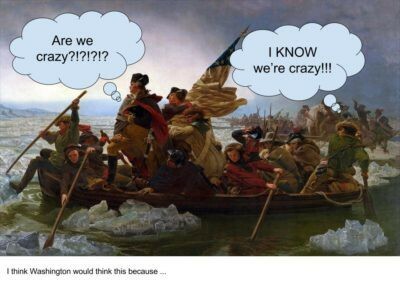 Bring some excitement to learning by having your students caption photos! 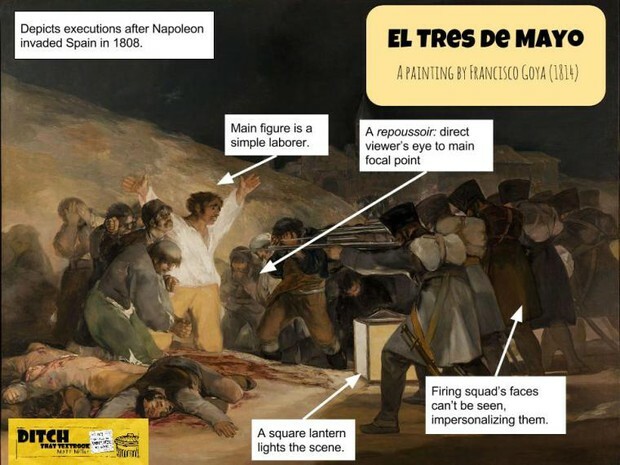 Have students create text boxes to add notes, comments, or an explanation of the photo. Students make meaning of something new when they're able to construct it in their minds. What better way to construct meaning than to make something that shows what your brain is thinking? When you add a speech bubble or thought bubble to an image, you let students speak or think for the subject of the photo. Students think or speak for the person in the photo, and they also give that person advice. Let’s take our students another step further into learning. 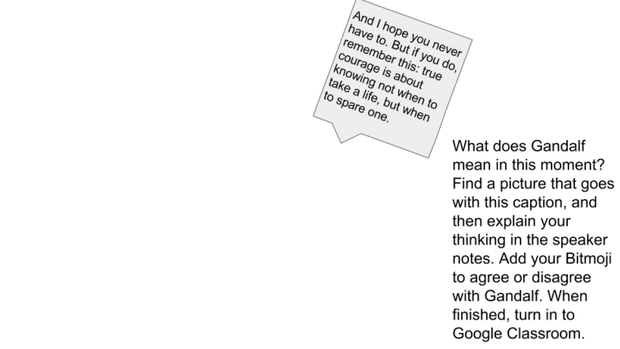 Now, instead of asking students to write a quote, let's start with a quote! 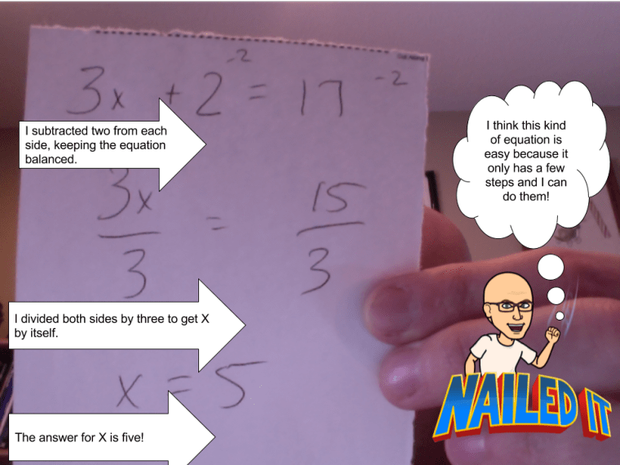 After working a problem, students can take a picture of it with their webcam using the Alice Keeler Webcam Snapshot extension for Google Chrome. 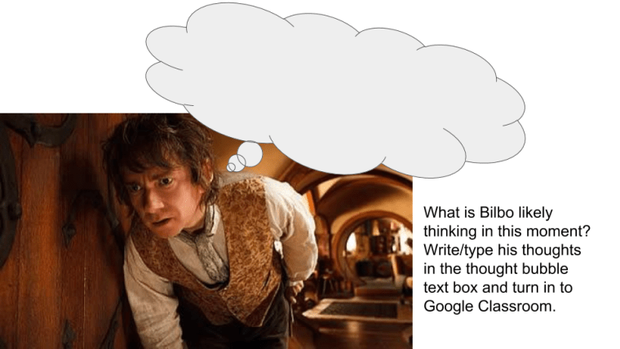 Insert that image into the Google Drawing and add description, thoughts and reflections on top. 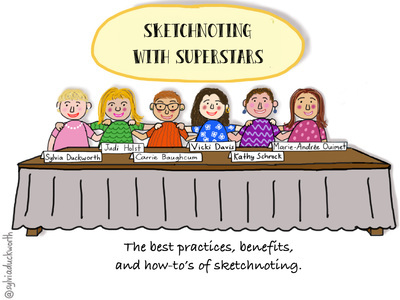 Google Drawings is a great tool for one image. 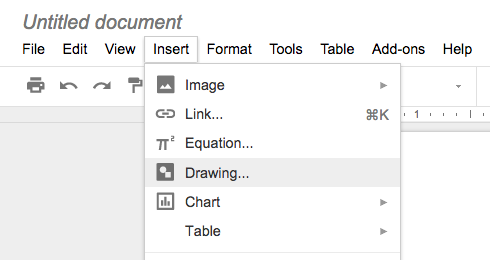 If everything you need can go on one image, then Google Drawings is a great choice. If you need multiple images in one place, then use Google Slides.